A team of third-party reviewers descended on Miami Beach this week to give the City an outside perspective on its efforts to combat sea level rise. The review, known informally as the “red team”, was a campaign promise of Mayor Dan Gelber to “take a fresh look” at the City’s stormwater management and climate adaptation strategy. Assembled by the Urban Land Institute (ULI) and funded by the Rockefeller Foundation’s 100 Resilient Cities, the panel combined their expertise and advance research on Miami Beach’s initiatives and others around the world with an intense three-day program of tours and interviews with community and business leaders and City staff. At the end of the three days, the team presented its preliminary findings and recommendations. A full report is due this summer. The team tackled some of the most difficult – and sometimes controversial – issues including street elevation, building elevation and building codes, historic preservation, community trust and transparency, and how to fund resilience projects. In general, the panel gave high marks to the City for its “courageous” initiatives to date and made clear that time is not on our side. One of their top recommendations was “maintained urgency” in moving forward. Getting there, they said, will require each of us individually to ask ourselves what we are willing to do and, ultimately, to move forward in one direction together. By now you’ve read the sexier headline that the panel deemed our future “uncertain”, which they did, but there was much more to it than that. Following is a summary of the presentation on the panel's preliminary findings in the words of the panelists. “The fact that you’ve been able to raise funds through fees, your stormwater fee and other things, to pay for these extremely expensive but necessary protections is very impressive and unusual,” she continued. Coffee also noted the City’s collaborative efforts between City departments and with state and regional partnerships along with its participation in the 100 Resilient Cities project, as “incredibly important and also very different from other places”. As anticipated, the panel made recommendations for improvements. Increasing transparency, “not only what you’re doing and the impacts that it’s having but also what your plans are for the future and what we anticipate future risks to be,” is also important, she said. Other key recommendations including improving aesthetics of projects, ensuring the financial viability of the program, and embracing the situation. Christian Nielsen, Director, Climate Adaptation and Landscape, Ramboll Water, complimented the City on its “quite well-prepared plan, well executed and implemented plan”. The panel now recommends increasing the “flexibility and robustness” of its resiliency program by connecting it to “a citywide green infrastructure plan” that will not only absorb pollutants but “add a little extra to the urban context,” he said. On the topic of learning to live with water, Nielsen said, “We recommend that you implement some real high-class pilot projects to show what can this actually be, what can it mean to live with water? Mark Osler, Vice President, Michael Baker International, took the “living with water” concept to the very local level. The City, he said, should “consider the concept of level of service”. Understanding there will be some disruptions due to flooding, the City should consider frequency, depth, and duration of flooding, and ask what level of inconvenience is acceptable in each area? 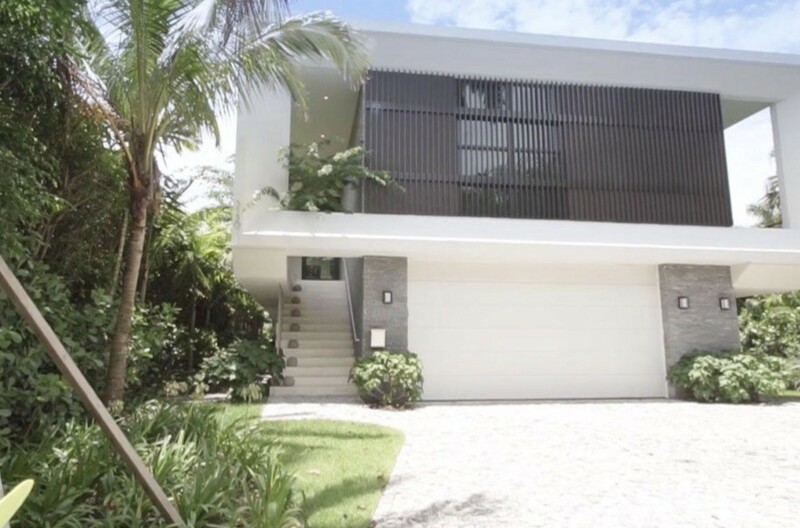 Walter Meyer, Founding Principal, Local Office Landscape Architecture, said, "Miami Beach in its deepest history has been a place of innovation." He noted some of the world’s first aerial photographs were taken over Miami Beach in 1924. Two years later, the Great Hurricane of ’26 ushered in the first building codes in the United States in South Florida which were adopted by 5,000 cities. Hurricane Andrew in 1992 resulted in “some of the strictest building codes in the world today”, also initiated in South Florida. 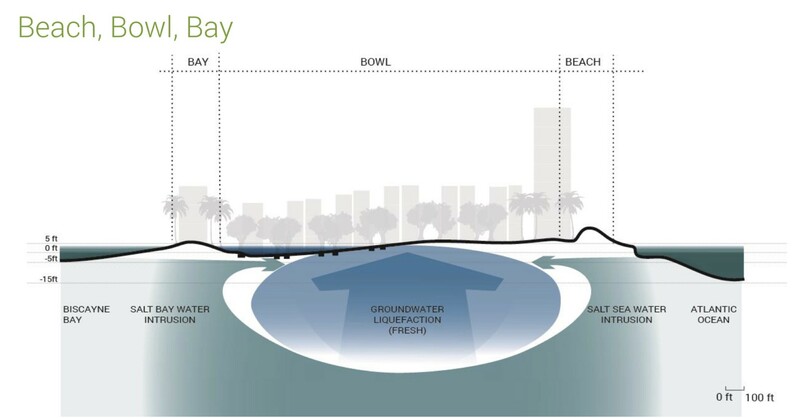 Noting the uniqueness of Miami Beach’s ecosystem – “water comes from everywhere” – the beach, Bay, and up from porous limestone, he summarized the City’s topography which slopes from the beach to the Bay with a “bowl” in the center. “Your most vulnerable, frequently impacted location is in the center of the bowl,” he said. 20% of the island, where it’s at its widest part, experiences this condition. That bowl, he noted, “is where a lot of our historic districts are”. Recommendations for mitigating the impact of flooding include parks and open spaces to act like sponges to absorb water, using architectural solutions for storing water, and blue streets “that convey water to the Bay without using pipes”. Currently, he said, open spaces in Miami Beach only constitute 17% of the island: 5% beaches, 5% active open space, and 7% golf courses. “Usually a quarter or a third of a global city, like New York or Portland or London, are open space,” he said. 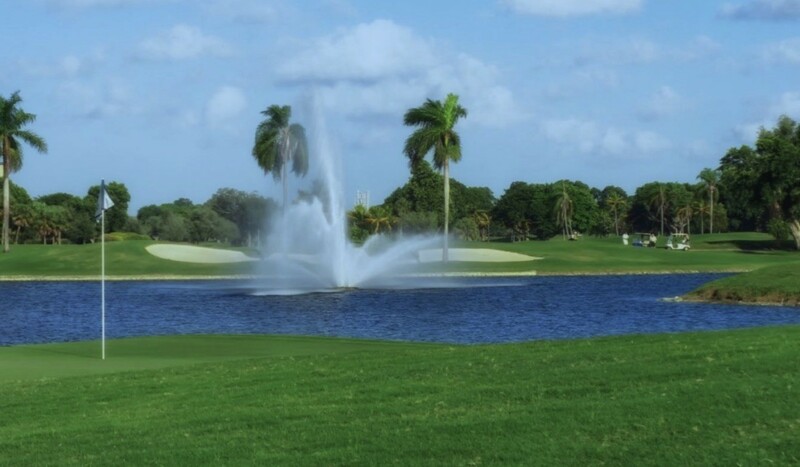 Our golf courses, he said, are an opportunity to store water. He highlighted Emerald Isle, North Carolina (above) as a good example of a groundwater storage and treatment system. One of the challenges Miami Beach has faced in its stormwater program was the initial lack of generators to keep pumps working when the power goes out in a storm. Meyer advocated for solar power. “There’s a lot of misinformation that solar and hurricanes don’t mix but they do well if you design for it … Your pumps depend on having power to run and that vulnerability will be concentrated when the grid becomes unstabilized in storms,” Meyer said. A facility in Puerto Rico with solar panels ten stories up survived Hurricane Maria, only losing 2% of its panels after experiencing over 200 mph wind gusts, he said. In this way, Meyer said, the City “creates an annuity, a profit stream with that capital investment” rather than just paying operational and maintenance costs. There are many examples of cities using art and culture to advance resiliency programs. 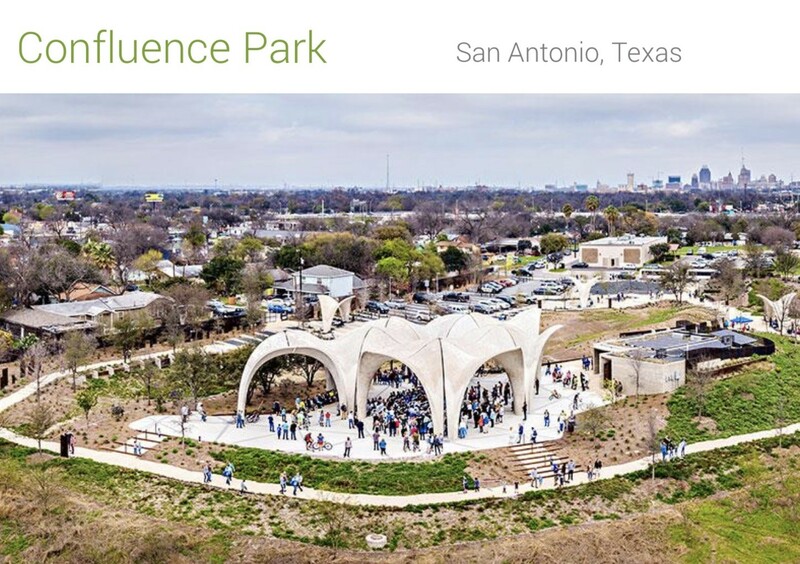 Confluence Park in San Antonio, Texas is one example. Built to be an educational park, it was part of a $400 million river restoration project. The pavilion in the park was designed by an artist working with an engineer and architect, Hardy said. 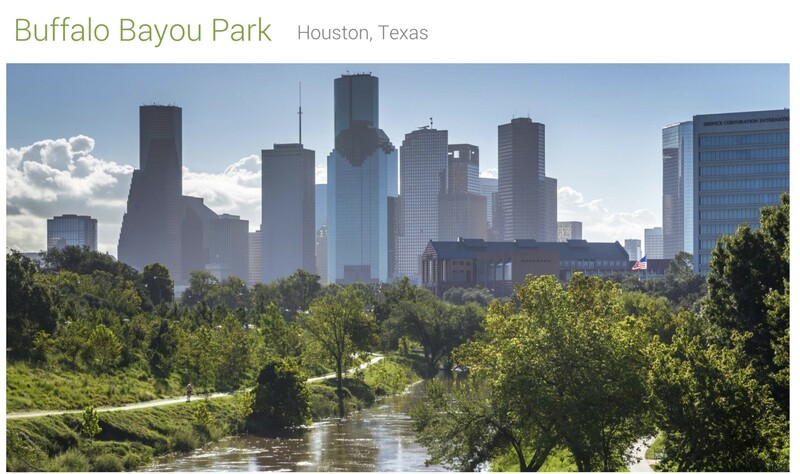 “It is a cover during weather but also a cap to capture water that gets channeled to a reservoir below the city that gets recycled.” The park and pavilion have become an attraction. “The $77 million investment [in the river infrastructure improvement project] in 2009 is now yielding about a $140 million benefit annually,” she said. Vine Street in Seattle is a street park that spans eight blocks. 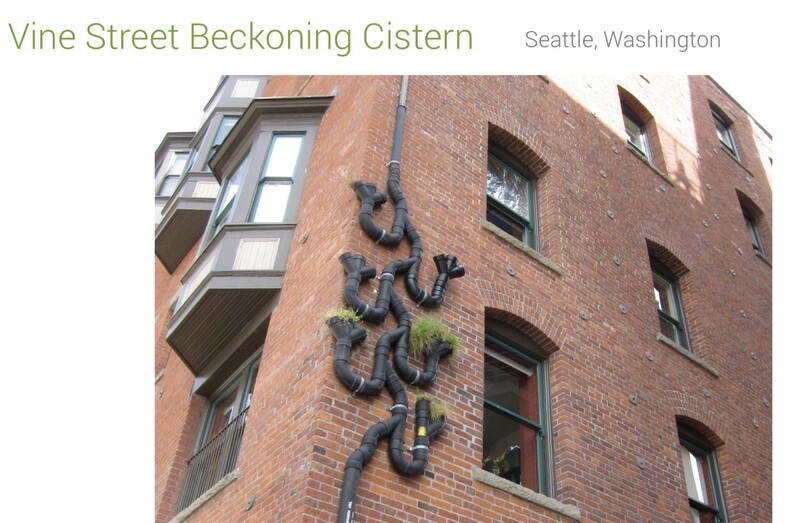 She showed the above image of a cistern that is “a sculptural piece but also serves a functional role as well”. The art features that have been added to these resilient parks, she said, “have brought a lot of benefit to the city”. Jeff Hebert, Vice President for Adaptation and Resilience, The Water Institute of the Gulf, talked about the role of governance. The panel recommended establishing a Miami Beach Rising Above Delivery Office “for greater transparency and to monitor and communicate the effectiveness of such a large dynamic program”. Develop tools that provide greater transparency on project selection, funding and expenditures, a recommendation that “comes from what we heard directly from the community”. Monitor and communicate project performance, manage strategic communications, community outreach, and community co-design and facilitate … creative placemaking and artist engagement in projects. Helping individual property owners adapt was another concern the group heard from the community as needing to be addressed. The panel recommends “a community adaptation fund or program for grants and loans available to homeowners for individual retrofits”. “You need to preserve your historic jewels. That’s why people come here, in addition to nature which is why this place was settled in the beginning to bring people here and see the amazing beach. What historical environment that was created as a result of that also needs to be preserved but we are in a different era and different age and we really have to think about what does preservation mean when we’re threatened by such huge things like flooding and sea level rise particularly, like New Orleans, in a place that is susceptible to flooding,” Hebert said. “Science and modeling is maybe not on our side for everything that we want to save so we have to be really thoughtful and this is from the National Trust for Historic Preservation who’s leading a program right now in thinking through these issues,” Hebert added. “We firmly believe as this team that this is an international conversation that Miami Beach can definitely lead,” he concluded. Greg Lowe, Global Head of Resilience and Sustainability for Aon, addressed the question of how we pay for it all. Options for financing infrastructure projects include special assessment districts that property owners, recognizing both the need and benefit of projects, would be willing to contribute to. He also recommended the City explore innovative insurance solutions that might include insuring the infrastructure to allow the City to continue to be able to make its debt payments on the financing used to build it. While the future of National Flood Insurance Program (NFIP) is uncertain, Lowe said, “that’s not really something to be afraid of because insurance pools that actually use public entities to aggregate assets across a territory or a region can provide access to affordable insurance” as has been done in the Caribbean, the UK, and New Zealand. Kash focused on the City’s “very strong and robust regulatory infrastructure system” addressing the four boards that new development and significant rehabilitations go through: The Design Review Board, Historic Preservation Board, Planning Board, and Board of Adjustment. While acknowledging that the city and some of these boards are already taking steps in this direction, the panel advocated for expanding their charters and missions “to make sure that water management is part of their charge”. Existing board members, he said, also need “training to give them clear guidance on the strategies they should be using and applying” which means the City will need to provide “tactical support with real knowledge on this topic”. “Give the boards measurable goals,” he said, such as “achieving 100,000 gallons in additional storage or something like that,” a goal that is flexible but “puts the boards on the hook” for getting where we need to be. Kash said the City should consider adjusting its stormwater fees. “You’ve made great progress in your stormwater fees and used it to raise funds. We strongly encourage you to think about adjusting your fees so that it’s based on the amount of stormwater runoff that each parcel produces.” By doing this, he said, the City can “incentivize property owners to manage more stormwater onsite” through choices such as permeable driveways, green roofs, etc. which would result in their fees being reduced. The panel also recommended creating an island-wide sea barrier, not leaving seawalls to individual property owners. “We do think that there’s work to be done, continuing to be done, about how to design these in a way that minimizes their impact on neighbors and acknowledge that there are impacts on neighbors. But as water rises and there’s more flooding, you’re going to have to move up and you want to move with the natural building cycle so as buildings get torn down or get a major reinvestment you want to make the improvement then because it’s much cheaper and allows you to spread the total cost of investment over time. Otherwise you start to talk investments of raising all the buildings in Miami at once. [That] takes tens of billions of dollars. If you spread this out over 30 years and make it part of a natural cycle, the cost is much, much more manageable,” Kash said. Greg West, President & CEO, ZOM Living and Chair, ULI Southeast Florida/Caribbean spoke to the City’s communication efforts with regard to its resiliency initiatives. “That being said, we also feel a lot of hesitation in how we communicate about this and specifically in communicating the totality of the resiliency plan. How often do we communicate? Do we communicate? And to whom? And we don’t see as much proactive communication as we would like,” West said. Mark Osler closed the presentation with nine principles that the panel will address at length in its final report this summer. The first in the list was “Maintained urgency” but Osler said he wanted to highlight two for initial takeaways. Hardy added to the list of things that can be done now. “One of the things we repeatedly heard is the issue around cultural identity and the issue around aesthetics.” She urged the City to look at the resources it currently has such as the Art in Public Places program to “look at how you address the aesthetics and cultural identity issues”.